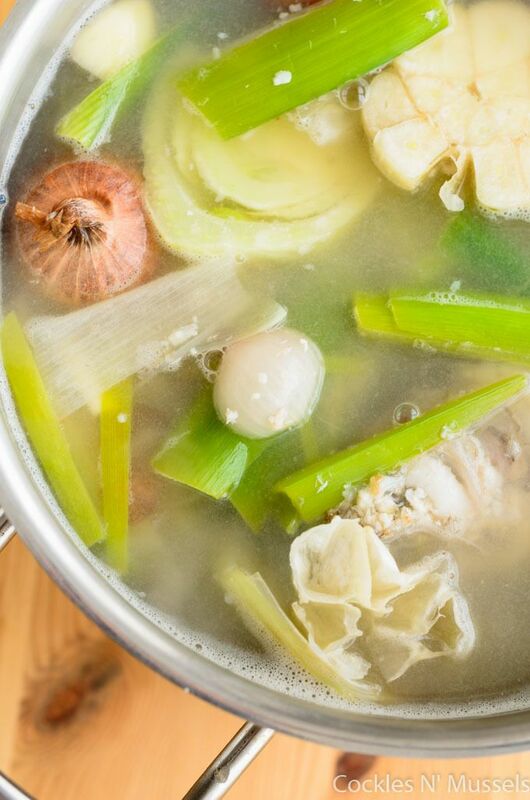 Fish and shellfish stock are different. It takes just a couple of minutes to chop everything up. Put it in a pot, bring it to the boil, cook it for 20 minutes, strain it, and you’re done. You have a flavoursome stock to use in soups, sauces, and risotto. During in my career I’ve been lucky and have worked mainly in decent restaurants, for good chefs, where there were enough staff and time to make fresh stock for customers. White chicken, brown chicken, veal, lamb, duck, fish, shellfish, veg. A savage amount of work. There was a time not so long ago when even your local steakhouse did the same. Not any more. They simply don’t employ enough chefs to do the job and its more cost-effective for them to use a convenient product. 1kg Tubs of dreaded bullion are more common than ever in most pro kitchens….such a shame. Stock cubes really can’t compare to the real deal. I’m not against using them from time to time at home if you’re stuck and have nothing else. But I never bother with them, they make everything taste the same. I’d rather use water. Their also laced with salt and some have ingredients lists the length of your arm. Though most no longer contain m.s.g (monosodium glutamate), thank goodness. but have you ever stopped to read the back of the packet? It’s much better to make your own, it tastes better and at least you know what’s in it. Only add cold water at the beginning and bring the stock up to the boil. Use hot water and you’ll have a cloudy stock. Don’t put too much water in at the start. Drowning your stock will only make in watery and tasteless. You can always add some more during the cooking process. Never add salt. You season when you’re finishing the dish that you added the stock to. Don’t overcook it. Cooking a fish stock for a long time will not make it taste any better, in fact it actually impairs the stock and causes a loss of flavour. After I’ve made a fish stock at home I whack it on full blast on the stove and reduce it down by half to concentrate the flavour. 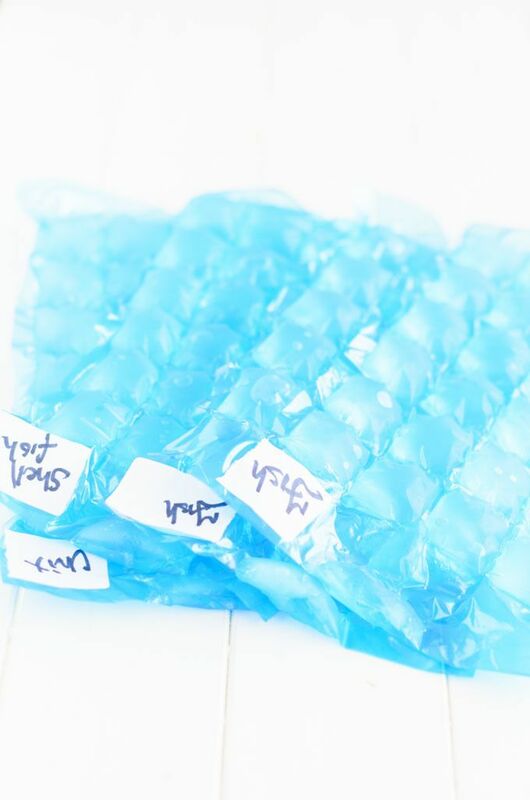 Then when its cold I’ll pop it in some ice-cube bags and freeze it. Then I have my own stock cubes on hand for when I need them. The bones of any flat white fish make the most flavoursome fish stock. Sole, turbot or place all work great. Ask your fish monger to keep them for you. Hake or haddock bones will also do, but avoid using bones from oily fish like mackerel and salmon. They don’t have much flavour and produce a greasy stock. You can use fish heads but take out the eyes and gills because they will affect the colour of the stock. Wash any traces of blood off the bones for the same reason. I never bother with fish skin in a stock as it doesn’t have much flavour. If you’ve never tried to make your own fish stock at home you don’t know what you’re missing. It’s not difficult and its the one thing that can really lift a dish to the next level. 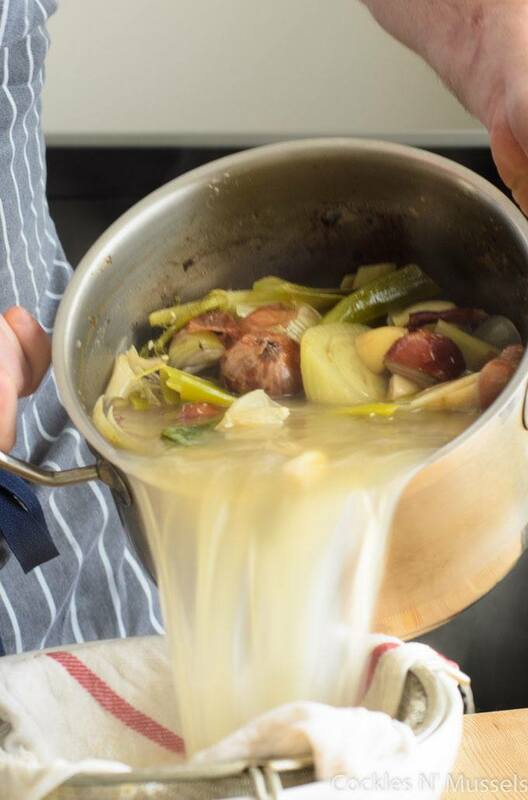 A well made stock adds a real depth of flavour to soups, sauces or risotto. You’ll be really amazed at the difference it can make. Below is the recipe I use when I want to make a fish stock, it works for me. Its cheap (your fish monger will give you the bones for free), quick (20 mins cooking time),and easy. In every cook book you own there is a probability a section at the back of basic recipes. Here is where you’ll find recipes for stocks. So grab a book by your favourite celebrity chef and get cooking. Do you bother making fresh stock at home?? Heat the olive oil in a large pot before adding the vegetables and sweating gently for 5 mins. add the fish bones followed by the white wine. Then boil and reduce the stock till most of the wine has evaporated. At this point your stock will turn cloudy. Don’t worry it will clear when you add the cold water. Pour in two liters of cold water and bring the stock to the boil. Skim off any scum on the surface once the stock has boiled. Than add in the bay leaf, peppercorns, Lemon, parsley, and thyme. Leave the stock to stand for about 10 minutes before you strain it. This allows all the flesh from the fish bones to settle at the bottom. Line a sieve with some wet muslin or a tea towel and strain off the stock leaving the bottom inch or so of liquid that contains all the debris from the bones. You can use the stock immediately or store it in the fridge (It will keep for about for 3 days). You can also freeze it for up to 3 months.